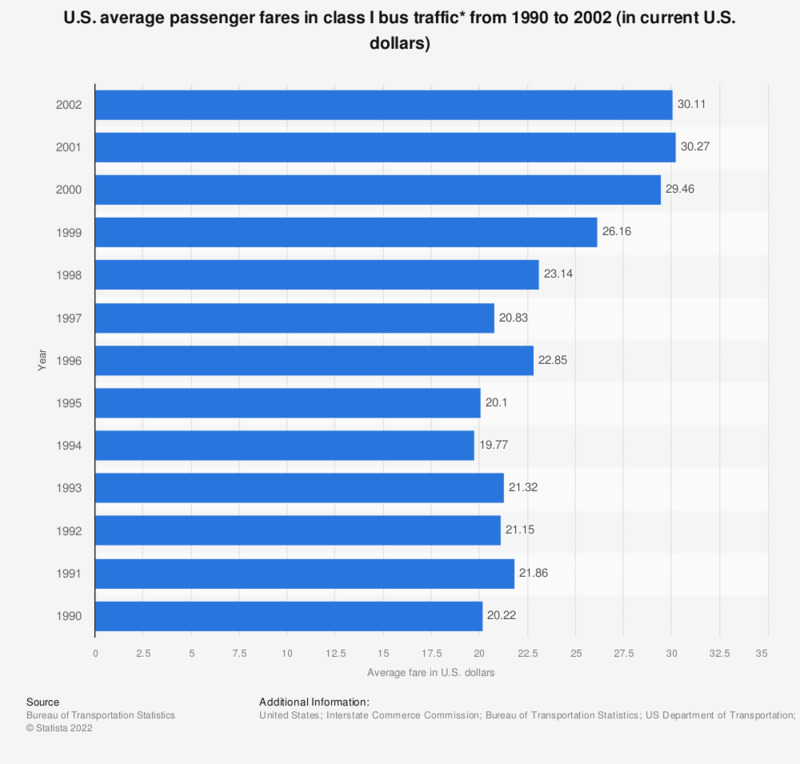 The time line shows the U.S. average passenger fares in class I bus traffic from 1990 to 2002. In 1995, average passenger fares in class I bus traffic were 20.10 U.S. dollars. Data only available until 2002. * Regular route Intercity service.